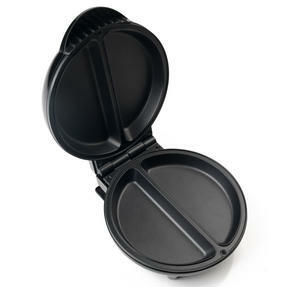 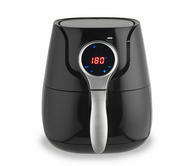 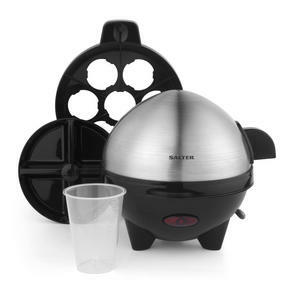 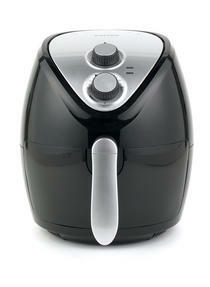 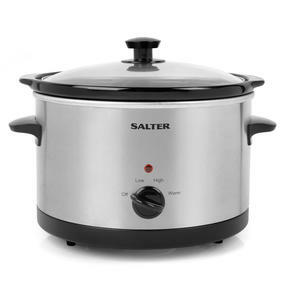 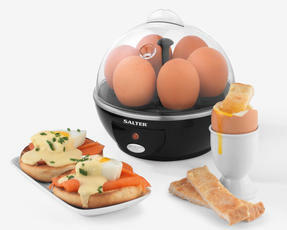 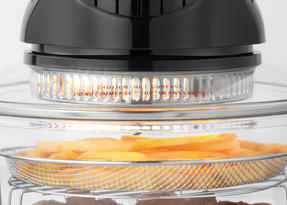 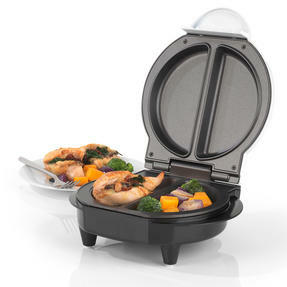 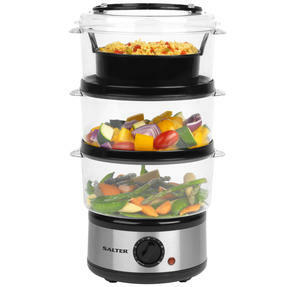 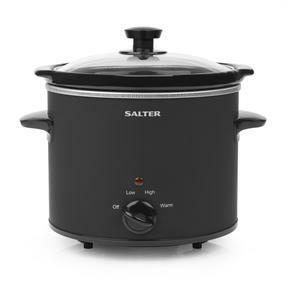 Cook all your favourite foods with less fat using this fantastic Salter low fat fryer. 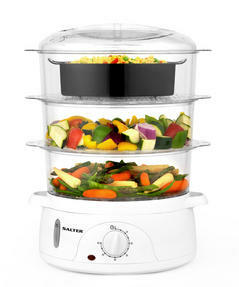 Easy and convenient, you can cook directly from frozen using triple cooking power; halogen directly heats the surface of the food for browning, roasting and flavour; convection circulates the hot air, evenly distributing the heat for faster cooking, and infrared heat cooks from inside out, sealing in the juices for maximum taste. 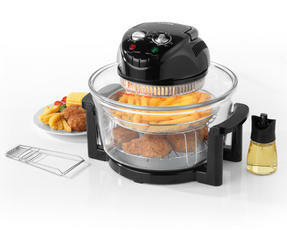 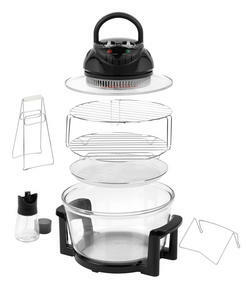 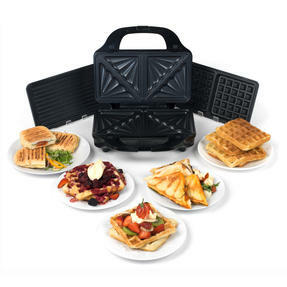 A complete kit, you can get started with your fabulous fryer straight away. 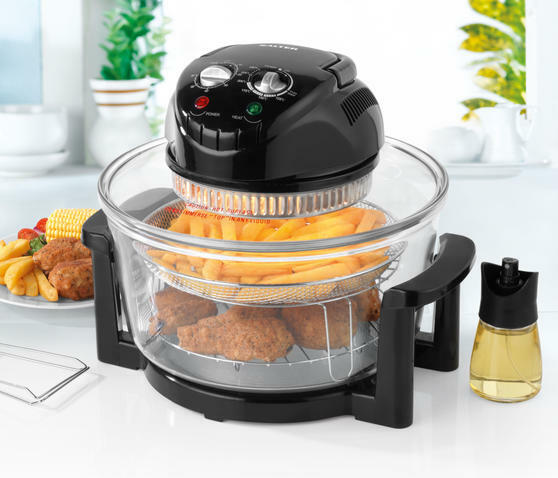 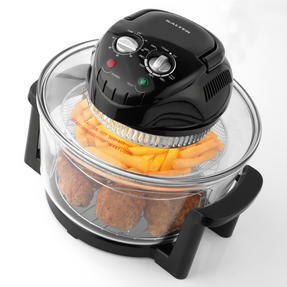 Combining halogen, convection and infrared power, you can cook the tastiest fried foods using little or no oil with this Salter fryer. 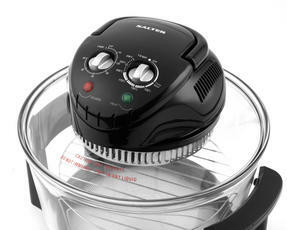 With 1400 W power, it can prepare your food up to three times faster, and can also be used for baking, roasting, grilling and steaming. 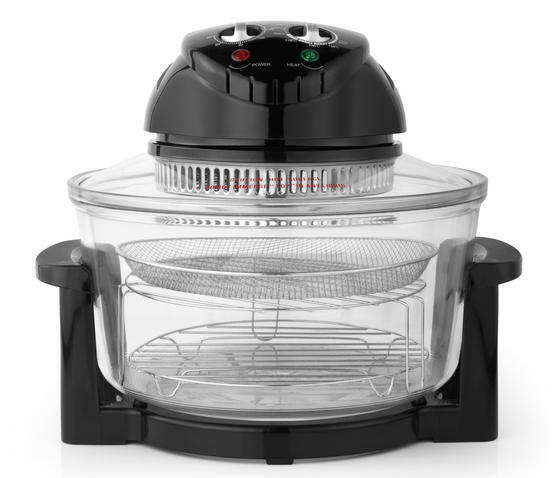 Removable for easy cleaning, the glass bowl fits to the insulated base and allows you to effortlessly monitor the cooking process. 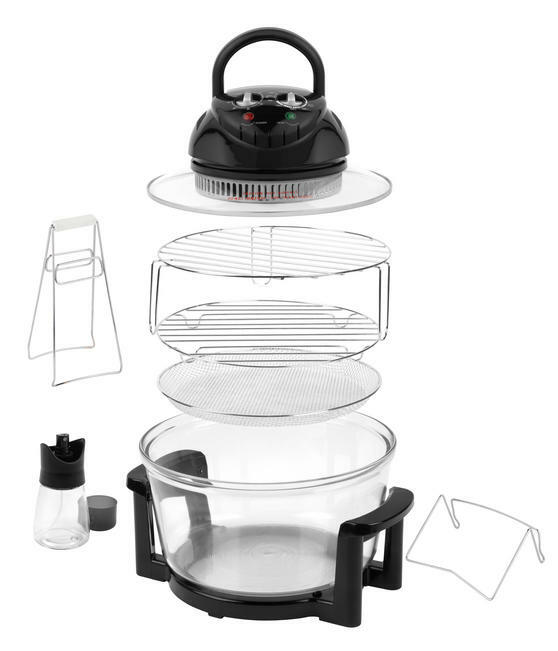 It comes with a high rack, low rack, lid stand, tongs, mesh trays, oil sprayer and recipe ideas, so you can begin cooking right away. With a capacity of 12 litres, you can roast joints of meat for a family meal or use the racks to cook different foods at the same time.